Here's my opinion of Mr. Victor's management of Southern California Edison's Citizen's Engagement Panel, prompted by his dressing-down of a local reporter over an upcoming news item (expected to be aired this evening). Outside your ivory tower, today was a work day for most working-class people. And the news never sleeps. It's a lot like rust in that respect -- something that should concern you greatly, since you are helping "authorize" (although you claim to have no "authority" and no power) the storage of extremely large quantities of extremely poisonous, extremely delicate, extremely "hot" (radioactively and thermally) nuclear waste in our midst (in rust-prone "stainless" steel containers). The waste is dangerous for hundreds of thousands of years and could remain at San Onofre for centuries (or longer). You say you want it moved out of here, of course, but that's not the reality. And you've done nothing to prevent a catastrophic release at Diablo Canyon, having learned nothing about how much LESS dangerous nuclear waste is even just a few years after the reactor is shut down. Can you imagine being responsible for something that is a thousand times more dangerous than spent fuel, and a thousand times more likely to suffer an accident? That's the sorry situation at Diablo Canyon, but you've said nothing to them about what a mess you have on your hands here -- a mess that grows every day in San Luis Obispo, but fortunately, is no longer growing here. My humble opinion, having attended (and filmed) many of the CEP meetings, and watched all but one of the rest of them, is that you were picked for the job because someone at Southern California Edison was sure you would do their bidding. And they have no intention of getting rid of you, I'm sure of that. From early on, you've been cutting off discussions you don't like. From early on, you've helped SCE ignore the fact that by delaying demolition of the reactor site for up to 60 years, SAFSTOR reduces exposure to radiation, for both workers and the public. The cumulative dose (especially to workers) is much higher if we demolish the plant sooner rather than later. But SCE doesn't want to wait, so...neither do you. SCE wants to move forward, but probably for financial reasons. What's your reason? SCE also has willing workers (who presumably are unaware of the full extent of the dangers). Who knows who they'll be able to find to do that dirty work in the future? One thing there is unlikely to be in the future is a cheap place to store the waste. Few options are available for long-term storage of the radioactive debris from decommissioning, and those options are becoming more and more rare, and more and more expensive. So Edison certainly feels it's in their best interest to dismantle SanO quickly, but is it in ours (including the workers who eagerly wish to be irradiated)? And what's best for America? To "solve" one nuclear waste problem by creating another one somewhere else? Google "Cactus Crater Marshall Islands" to learn what a mess nuclear "experts" have made of long-term storage of irradiated debris in the past. The cement dome is cracking, water is leaching in, radionuclides are leaching out, and the radioactive metals dumped in the middle of the lagoon are being brought to the surface for scrap by poor natives, and then sold to unscrupulous buyers who recycle the metal into everyday things. So even the broken-up radioactive cement -- and the dust -- will have to be guarded for centuries! And you're in charge. Can't work holidays? Somebody's got to do it. But the debris from decommissioning, and the worker exposures during the process, are minor worries compared to thinking about the spent fuel. 365 days a year -- for what is essentially an eternity (thousands of years), it will have to be guarded. Someone will have to not be with their families, not just holidays, but day and night, 24/7, as long as it's here and probably a lot longer than that. In thin casks, in a corrosive environment (our beach). You say that the spent fuel is "just one of many issues" and evidently don't seem to grasp that it's almost the ONLY issue. Every day that waste sits here, it's vulnerable to earthquakes, tsunamis, airplane strikes (accidental or otherwise), terrorist attacks, and decaying, cracking, embrittling metallurgical issues. For a couple of hours every three months, you control a room full of people, most of whom haven't got any idea of the biological consequences of their decisions. Nor are they aware that the Nuclear Regulatory Commission is practically clueless about what condition the cement will be in, or the metals. Nor does the NRC know of any way of inspecting the casks on the inside -- or much of the outside. They know of no way of burrowing below the cement base to check on the condition of the Holtec Honeycomb-Style Waste Storage Pits without risking structural damage, water intrusion damage, etc.. Cement experts weren't invited to your CEP meetings, but they were invited to speak at some NRC hearings this past summer (which is how I know the NRC is practically clueless). I don't think you were in attendance then, nor, as far as I can tell, are you at most of the NRC hearings on San Onofre issues (I attend (and record) as many of them as possible). You certainly don't speak up if you do attend. Holtec has decided not to use reinforced concrete overpacks in the spent fuel "islands" (ISFSIs) they want SCE to buy (with ratepayer money, of course). No demolition experts were invited to the CEP to knock holes in that decision! You never allow enough time for public comment, and it's far too rigidly controlled. If a lot of people show up, you act like you're running some sort of government hearing and cut down the minutes each person gets to speak. You actually have used the lamest excuse of all -- that the room was only rented for so long, and no longer! (The seats are dreadfully uncomfortable in Oceanside, so I guess when the meetings are held there, it's just as well they're short.) SCE can afford better. The CEP chairman should demand it. Any lost time during the "main" portion of the meeting invariably comes out of the public comment period at the end. Panelists will not respond to questions they don't like -- just like a government hearing. You act like you think you're king of something -- and you are: You're king of the most deadly substance in California. Your efforts are a major factor in determining how that deadly waste will be guarded -- or not -- for the next 300 years -- or longer. You're forcing it down our throats. And don't say it's not your fault that the waste is (still) here. I've attended more than 20 years of hearings on San Onofre. Never saw you at one before the plant closed. So you had decades to help shut the plant down sooner, knowing -- as we all knew, who bothered to look -- that there was no place to put the waste once the plant closed. So yes, of course it's your fault as much as anybody's. In short, you've done little since the beginning except push SCE's agenda -- and you ignore criticism. Regarding the upcoming NBC news item, it's very specifically concerned about statistical shenanigans Southern California Edison has apparently been playing for years -- that directly relate to their ability to properly and safely dismantle a nuclear power plant! Specifically, the allegation is that they co-mingle measured samples from highly contaminated areas with measurements from lightly contaminated areas in order to achieve a passing level in the NRC's far-too-lenient allowable releases. Such behavior leaves a lot of room for bias, if not outright cover-up of accidental large releases. It's a serious allegation which evidence clearly suggests was happening. So I find it strange that as head of the Citizen's Engagement Panel, you would have no comment yourself! In the two years during which you've almost completely controlled the post-near-apocalyptic-steam-generator-failure discussion about San Onofre's terrifying legacy of nuclear waste (pun intended), you've accomplished nothing that has helped get the waste removed, and blocked activist's attempts to get better, thicker dry casks and stronger cement overpacks (steel reinforced, for starters, with drainage systems for jet fuel to be removed in well under 20 minutes). Citizens attempting to work with SCE through the CEP have found it a fruitless endeavor in large part due to your attitude towards opinions you don't share. You've listened to nuclear industry representatives for many hours -- not experts (except Dr. Singh, of course) but merely salesmen -- tell bald-faced lies to the CEP panelists and said nothing. But you control the conversation immediately when any activist -- or even other panelists -- try to speak out on any subject you don't agree with. >At 11:14am this morning you sent me an email requesting comment from me and the Community Engagement Panel on a story that, I gather, your station has already completed and intends to air tomorrow evening. Barely two hours later, at 1:01pm, you sent an email to 39 people (to which I am replying all) that elliptically suggests that the Community Engagement Panel (which I chair) has failed to comment. That is an extraordinary claim that has no basis in fact nor does it reflect any reasonable standard for professional news reporting. >Nearly the entire nation (myself included) is on vacation this week and we are not sitting next to our email, ignoring our families waiting to respond to your random requests for information. You have been working on this story for months and yet you demand, in the middle of a holiday with no advance warning, responses to a complicated story for which the facts really matter. And your offer a schedule that allows no realistic opportunity to do a thorough review of all the materials and solicit feedback from a wide array of sources so that we can help provide to the public truly accurate information about the decommissioning process. I saw your earlier (Sept 22, 2015) story and was deeply disturbed by your reliance upon unnamed expert sources as well as on-camera interviews with individuals who are engaged in other legal actions that clearly raise questions about the reliability of their information. For such reasons I would want to be doubly careful before commenting that I had seen all the materials you allege to have on hand and read the full reports—not just pluck phrases out of context here and there. My interest is in accuracy—not sensatiionalism. >Your email to me this morning referred to earlier requests for information on 11 December and 18 December. Yet those emails were addressed âœTo Whom it May Concernâ and sent to a list of people (copying me) with sprawling, unfocused questions that referred to unnamed âœexpertsâ regarding how "SCE does damage control.â You also demanded to know if SCE or the Navy were âœlying.â These questions are the stuff of gotcha campaigns and not a serious, focused and professional exchange of information aimed at obtaining the truth. Moreover, those questions seemed to be addressed to SCE and other officials on your email list—not to me. You should not,, in any way, pretend that because I happened to be copied on those messages, which were not addressed to me, that I or the Community Engagement Panel has been unresponsive. If you report that in your new story you will be reporting information that is willfully inaccurate. >The Community Engagement Panel is not a watchdog agency. It does not investigate SCE, NRC or any other body that has formal decision making and regulatory responsibilities at the plant. Nor is our job to defend or promote those organizations. We are a group of 18 volunteers who are providing a conduit of information. We help provide SCE with information about what concerns the public—informmation that has led to an array of tangible changes in how SCE is implementing its decommissioning process. And we help provide the public with information on the process of decommissioning—including information that iss often steeped in jargon and technical detail that we help translate so that it is accessible to everyone. We are particularly focused on the plant itself whereas much of your reporting seems to be focused on events back in the 1980s on the Mesa site—across the road from thee main plant. Mindful of our role as a conduit for information, we have circulated links to your earlier reports and discussed them and also circulated copies of responses from SCE to your reporting. And we will do the same as new stories appear. Beyond that, I donâ™t see that there is a specific role for us in your story. >As of this date, December 30, 2015, neither of the principals in this story, SCE & SDGE, have commented. > Of the agencies copied on this request for comment, only the NRC provided any feedback. >The Community Engagement Panel, which is tasked with being the publicâ™s eyes and ears on the shutdown of SONGS, has also been asked for comment. Several members of that panel are included in this e mail. >You will find in the attachments with this e mail the criticisms of our original story. >documents used in producing this story. >We are preparing to â&lsqauo;broadcast and webcast a story regarding the SONGS plant â&lsqauo;in the near future regarding SDGE/SCE lease with the US Navy and the condition of the land around the plant that was under the control of SCE/SDGE partnership. >Our initial story resulted inâ&lsqauo;no response from SDGE and SCE did not provide any specific comments for the story even though they had a advance copy of the story and ample time to respond. We were referred to the SCE website press releases andvideo press conferences where various unrelated comments and statements were made. Eventually SCEâ™s public information â&lsqauo;office did provide a more through response â&lsqauo;accusing KNSD of scare tactics, shoddy reporting, calling the story sensational and inaccurate. The utility requested corrections to be made to the original story. For the record, â&lsqauo;KNSD never did a correction as requested by SCE â&lsqauo; because we believe our sources and the information we have compiled are accurate and factual given the information we have.It was â&lsqauo;ten days after the story aired before the utility did respond to specific issues and we note the letter was sent not just to KNSD but throughout the stakeholders community. One of our experts told us this was the typical way SCE does damage control. Would you care to comment? >Was the Navy lying? â&lsqauo;We are also reporting when SCE employees gathered samplesâ&lsqauo;to check for radioactive levels from various locations on the Mesaâ&lsqauo;, theymixed them together . According to our expert Dan Hirsch â&lsqauo;this is a common practice by utilities when sampling to âœaverage them together and try to find a way to force the numbers lower than they should beâ We also reference in our new story an incident from NRC inspection records where contaminated soil, asphalt and concrete located close to a containment structure was moved to the Mesa. Sometime later it was removed—390 fifty five gallon druums were shipped off site. â&lsqauo;Can â&lsqauo;you tell me where the drums disposed of properly? Where were they shipped? >â&lsqauo;SCE's Media Relations Project Manager complained about our producer/reporters lack of knowledge about basic science saying âœIt appears your reporters and producers are unaware that radiation exists in everyday lifeâ However after reviewing our documents and the SCE letter Mr. Hirsch said âœthe arguments that were made about radiation levels we are exposed to is completely irrelevantâ He also added this sharp reaction is the typical â&lsqauo;method of operation for SCE when they are questioned about their practices, saying SCE views this as a "public relations problem not a health problem." >Please feel free to comment to one or all of these statements. Today (October 13, 2015), another old American nuclear reactor announced that it is closing permanently. Pilgrim opened in 1972 and has been producing nuclear waste ever since. Due to "unprofitable conditions" it will close by 2019, and perhaps much sooner. A wise investor would close it immediately since the risk is not worth ANY possible profit, let alone a loss, but the regional grid operator requires prior notification of voluntary closure, and refueling outages are considered logical times to close nuclear power plants permanently, in order to squeeze the last few dollars of profit out of the reactor. Across the country, at least 20 reactors are predicted to close over the next decade, mostly because required safety upgrades (such as they are), operating costs, fuel costs, regular maintenance costs, and competitive replacement energy prices (mostly low natural gas prices but also the wonderful low prices for renewables (which will only go even further down as manufacturing capacities ramp up)) -- all add up to one thing: Unprofitability. Well, whatever it takes, right? Not so fast. Closing 20% of the fleet doesn't solve the nation's biggest liability: Our growing nuclear waste pile. It only slows it down. The biggest question facing the nation is where to put the waste. What community will take it? What state? Communities around closed reactor sites are especially eager to get their waste removed, but operating reactors want their old waste removed too -- they want a constant stream of removal of old fuel forever. But to where? No one knows. So the nuclear industry is using activists around the shuttered San Onofre Nuclear (Waste) Generating Station very successfully to try to push the nation towards building an "interim" nuclear waste repository, and/or restarting and then finishing Yucca Mountain, the proposed permanent nuclear waste site in Nevada. For the last 30 years, Yucca Mountain has been the ONLY proposed permanent nuclear waste repository in America. Partly because there really isn't anywhere else that's better. But also because no one wants the waste. President Obama stopped funding Yucca Mountain research, then he formed a special committee to study alternatives. The so-called "Blue Ribbon Commission" (BRC) came up with nothing: They could not think of any permanent alternative, so instead they proposed changing federal laws to make it easier for a small group of property owners, a tiny township, or a small native American tribe with sovereign land, to build an "interim" waste repository. The laws, which have not yet been completely formulated, would prohibit a state, or any larger community such as a county or nearby large city, from blocking the "interim" storage site. The BRC's proposed new federal laws would also prohibit cities, counties, or states from banning the transport of nuclear waste through their community, on the way to the interim storage location. In response to the BRC's suggestions, western states formulated a mutual agreement saying they would not allow nuclear waste to be stored in any western state -- unless that state's governor approves it. I have no idea of the legality -- or usefulness -- of the western states' governor's agreement, but it shows how little anyone wants even an "interim" waste repository, let alone, a permanent one. As plants close around the country, calls for a solution to the problem of nuclear waste storage have intensified tremendously, and will continue to do so. But hold on a minute. First we have to close ALL the reactors. Otherwise, we'll just be enabling them to make more waste. It was at least six months ago, perhaps more, when I first heard the nuclear industry lavishing praise on Southern California Edison's (SCE's) "Community Engagement Panel" (CEP) as "the way to do it" when interacting with the public during decommissioning. In 2012, San Onofre suddenly closed down permanently, due to poorly-designed replacement steam generators that failed less than a year after installation. Since then, half a dozen other reactors have also shut down, or have announced plans to do so soon. The CEP was initiated about six months after permanent closure was announced. It's headed by a pro-nuclear economist from a local university, and includes a past president of the American Nuclear Society and other nuclear proponents. The industry is right that it's been very successful, insofar as: Many people (and all the media) around San Onofre -- including once-good activists who were urgently trying to shut down the reactor prior to the steam generator failure -- are now completely misled about how deep the problems with nuclear waste really go. Pun intended. There is no place to put it, but all they can think about is moving it somewhere -- anywhere. Some activists have even joined with the utility, pushing hard for the Yucca Mountain unfinished permanent repository to restart. Others are content with any parking-lot anywhere, as long as it's away from the current site, which of course would certainly be fine with the utility, and with the local politicians who speak so loudly now, but were silent or belligerently pro-San Onofre before, such as Congressman (and possible future speaker of the house) Darrell Issa. But wishing for the waste to be moved is not the same as moving it. And the fact is, there are no parking-lots available anywhere where the waste will be safe. Yucca Mountain is a terrible "solution" to the waste problem. Water leakage from above, water seepage from below, volcanic eruptions in the not-so-distant past, the possibility the area will become lush (again) in the not-so-distant future (due to global warming)...there is only one conclusion: Yucca Mountain's "science" is full of holes. There never will be any truly safe -- let alone, cost-effective -- solutions to the problem of storing nuclear waste indefinitely. There will always be an element of risk, no matter what solution is implemented. For this reason, all "solutions" rely on "Probabilistic Risk Assessments" (PRAs) for justification. All PRAs accept that "life is a gamble." All PRAs gamble with your life. In Nevada, they understand gambling. And they don't want Yucca Mountain. Bad as Yucca Mountain is, the "interim" solutions are even worse. And worst of all, the area surrounding Yucca Mountain would probably become an "interim" storage site itself for many decades -- with minimal protection since it would be presumed to be very temporary. Interim solutions offer no real protection for the fuel canisters from earthquakes, volcanoes, tornados and "tornado missiles," real missiles, A-10 Warthogs flown by renegade pilots with live DU shells, a LPG explosion nearby at sea or on the railroad tracks near many of the sites (including San Onofre), rust, apathy, poor welding during manufacture (include San Onofre here, too), transportation hazards, tsunamis...even asteroids. Southern California's remaining newspapers blame the failure of the feds to open Yucca Mountain, and San Onofre's sudden closing, as the cause of high energy bills in the future. Nothing could be further from the truth. The bill may be high, but it is because we have the waste -- we already made it, and now we have to protect it. Doing that successfully will cost billions. Failing to do so, however, could cost trillions. Ionizing radiation destroys any chemical bond of any container you put radioactive substances in. Radiation accelerates decay, corrosion, embrittlement, rust, osteo-ripening, Wigner's disease, hardening, loss of ductility, aging...(these are all basically names for the same thing). So you can't just enclose nuclear waste and walk away. Eventually you have to transfer the waste to a new enclosure, or enclose the original enclosure (as they're doing in Chernobyl already). And then sooner or later, repeat the process. Yucca Mountain was supposed to "solve" all that by letting the containers crumble under thousands of tons of rock, over a period of hundreds of years (so hopefully, most of the crumbling would start long after most of the fission products will have decayed away). Yucca Mountain is an iffy proposition at best, since predicting the behavior of the radionuclides in the ground over a period of many millennia is basically just guesswork. Thanks to San Onofre and the complicity of the California Coastal Commission (CCC), the California Public Utilities Commission (CPUC), and the Nuclear Regulatory Commission (NRC), the gullible public enjoyed relatively cheap energy (nevertheless, among the most expensive in the nation) for approximately two generations. But the full cost of that "cheap" energy is to be paid by our children, and our children's children, for thousands of generations. Those who made the waste -- and thus, made the waste problem -- are the ones to blame if rates go up because Yucca Mountain (or any solution) doesn't open up. Likewise, those who made the waste are to blame if rates go up because the NRC (dream on), or the CPUC or CCC decides to require more robust (and more expensive) solutions than the cheap "ISFSI Islands" SoCalEd is proposing to use. If rates go up because we manage to catch the failure of a dry cask BEFORE a catastrophe, and only have to spend billions to repackage each cask, instead of trillions if there is a full release of one or more spent fuel casks, it will be the fault of those who made this awful stuff. You can never clear the site of an operating reactor of its most dangerous, most risky contents. Risk is only reduced after the reactor is permanently shut down. After that, the fuel has to cool thermally and radioactively...the longer you let it cool, the less risky it becomes. It takes many millennia before it is safe to handle. For operating reactors, worrying about getting their used fuel offsite is ignoring the more imminent danger: The reactor itself, and the used fuel which was most recently removed from the reactor. The older fuel (actually "old reactor cores") is a growing problem, but not the main problem at open reactors. Closing them is the main problem. However, at closed reactors, the used fuel is the problem. Operating reactors have to build several more dry casks every time they refuel, since their spent fuel pools are already full. After filling the stainless steel casks and inserting them into cement bunkers, the utility assumes that Department of Energy (DOE) will "take possession of it at some point." And so they keep operating. The $30 billion dollars ratepayers across the country have already put into a fund for building a permanent solution is probably going to be siphoned off for "interim" storage solutions. There is currently a proposal to "only" siphon off the interest that is accruing -- but the principal is worth less and less every year because of inflation, so really that's making a permanent solution more and more difficult to fund properly. They've already stopped collecting more money from the ratepayers, because the DOE hasn't been getting anywhere with its plans. The lesson to be learned by Californians from the San Onofre steam generator debacle and subsequent waste problem we are left with, is to shut down Diablo Canyon immediately and demand that Arizona shut down Palo Verde (20% owned by San Onofre's owner, Southern California Edison). Shutting down the operating reactors is the most important thing local activists around San Onofre can help with, since they can see (if they look) the difference in risk factors between: 1) an operating reactor, 2) "fresh" used fuel which was recently removed from the reactor, 3) older used fuel, and 4) no fuel on site at all (the desired condition everywhere). But they can also see (if they look) that trying to force Nevada to take the waste is naive. This author was in Nevada for two hearings last month (September, 2015) and has been to five or six hearings there over the past decade and a half. The majority of the citizens of Nevada definitely don't want our waste, and Las Vegas in particular is adamant that THEY don't want it anywhere near them (and Yucca Mountain is VERY near them). And it's not just their elected representatives -- it's the people who elected them. And it's the people with money, too. The ones who own the casinos. They don't want nuclear waste trucked through their town (which would be the preferred route for much of the waste). City officials have even sworn to arrest anyone who tries to drive used nuclear reactor cores through their city. The transport and storage accident scenarios envisioned by the NRC are farcical: In their fantasies, mere millionths of a single fuel pellet (i.e., tiny fractions of a gram) of nuclear waste ever escapes a dry cask, either during transport or while sitting wherever it may be for the next 300 years (or more). NRC assumes that only these tiny fractional amounts, out of all 10,000+ dry casks worth of fuel which already exists in America, and all that will be made in the coming decades, will ever be released in any "worst case" scenario. It's preposterous. If we're lucky, all 300+ dry casks' worth that already exists in California will be transported with few accidents, and those accidents (according to the NRC's PRAs) will only release millionths of a gram (or less) of the 20 or so tons of nuclear fuel inside each cask. But perhaps we will not be so lucky, especially since the longer we wait to transport the casks, the more embrittled the containers will be when they are finally moved. Nuclear power is, of course, completely replaceable with clean renewable energy, such as wind, wave, solar, and so on. These energy sources put zero costs on future generations and zero risk. It's time for California and the rest of America to switch to clean energy solutions. Your policy has enabled the nuclear industry to give us 2,200 dry casks across the country so far. How many more are you willing to put up with? We'll need 10,000+ for all the waste in existence today, with a new one needed every other day in America for as far into the future as anyone can see. Because when the pools got full, NIRS and "1000 local, regional, and national groups across the country" endorsed dry cask storage when shut-down was the only reasonable alternative. Yet you called this "secure." I don't know what metallurgists you consult, but clearly none I would respect. >For over 10 years, NIRS has taken the position that fuel should be transferred from high-density pool storage to Hardened On-Site Storage, along with 1,000 local, regional, and national groups across the country, including those in reactor communities. Pilgrim is a Mark I Boiling Water Reactor, with the fuel pool six stories in the air. There is nothing less secure than that. We understand every site has different kinds of constraints and vulnerabilities. We also believe current dry-cask designs are not good enough, and we push for better standards. But the dangers of high-density pool storage are extreme. There is no good solution to the waste, only bad options ranging from worse to worst. Activists in the Plymouth community want the waste out of the pool. There has been a dispute about the location of the dry-cask pad, not the need to get the waste out of the pool. >Does NIRS officially think the waste can be "secured" properly? >If so, please think again! >NIRS applauds Entergy's decision to close the unsafe, uneconomical, and polluting Pilgrim Nuclear Power Plant, on Cape Cod Bay in Massachusetts. However, Entergy's proposed 2019 closure date is unacceptable, and poses the risk that this dangerous reactor could continue operating for nearly four more years. Pilgrim currently has the worst nuclear safety rating in the country, tied with Entergy's Arkansas Nuclear One plant. >Entergy has been cutting costs on the aging, uncompetitive reactor at Pilgrim for years, which has resulted in the rise in safety violations, equipment failures and even security lapses, and Entergy's decision to close the plant is ostensibly to avoid millions of dollars in costs to meet NRC's minimum safety standards. The NRC cannot allow a reactor to operate without addressing the systemic safety violations that Entergy has at Pilgrim. >In 2013, NIRS, Citizens Awareness Network, Pilgrim Watch, and other organizations petitioned the NRC for enforcement of the agency's financial qualifications regulations at Pilgrim. Such action could have avoided this situation entirely, but NRC inexplicably refuses to enforce that regulation. We also call on New England's electricity grid operator to work with Entergy to release Pilgrim from its capacity commitments and enable the plant to close as soon as possible. >NIRS supports the call of Senator Edward Markey for assistance to Pilgrim workers who may be displaced by the reactors' closure. That plan should begin with a planned, orderly, and responsible decommissioning of Pilgrim. With approximately $900 million in a dedicated decommissioning trust fund, most of the workforce could be retained for 10-20 years in securing the nuclear waste and cleaning up the radioactive and toxic materials at Pilgrim, restoring and protecting the ecology of Cape Cod for generations to come. We should all be worrying about SoCalEdison's risky plan to store 1600 tons of "used" nuclear fuel at San Onofre...forever. Glenn Pascall is a former newspaper reporter for a small California paper, and currently is on Southern California Edison's Community Engagement Panel (CEP), and is the spokesperson for the Sierra Club's "Task Force on San Onofre." There are about 18 or 20 members of the CEP, including local city council members, county supervisors, a past president of the American Nuclear Society, someone from a local ocean-oriented non-profit, and so on. When it was formed after the nuclear power plant shut down permanently, activist Gene Stone was invited to join the CEP as the "people's representative" and Glenn Pascall was selected as his alternate. Gene resigned from the CEP earlier this year, so Glenn became the "people's representative." The CEP is run by its dictatorial chairman, David Victor, who has published several articles expressing his pro-nuclear stance. The entire CEP was hand-selected by Tom Palmisano, currently Chief Nuclear Officer and Vice President of Decommissioning at Southern California Edison. In recent emails (shown below), Glenn has attempted to undermine the arguments against Southern California Edison's (SCE's) plans for storing San Onofre's "used" fuel. Pascall assumes that his position is the only viable position and that I, Donna Gilmore, and others are misguided at best. Pascall dismisses those who support alternatives such as different storage solutions and/or additional safeguards, and a focus on shutting down all remaining nuclear power plants by admitting how big the problem we are left with really is. Pascall's remarks are not just rude, they are defamatory. If Mr. Pascall truly speaks for the Sierra Club as he claims, then the Sierra Club is equally liable for his defamatory remarks and is similarly deluded about the inherent dangers of storing nuclear waste generally, and the specific limitations of SCE's current plan. I first met Mr. Pascall about two years ago (which he now calls his "long experience" with me). At the time he was utterly naive about nuclear issues (I gave him a copy of my book). But nevertheless he enthusiastically wanted to join the local activists around the by-then-closed San Onofre Nuclear Waste Generating Station. He attended dozens of weekly meetings we held in San Clemente, "we" being myself, Donna Gilmore, Gene Stone, Darin McClure and about half a dozen others. Sometimes as many as a dozen would show up prior to important events. I love you as a brother but long experience has confirmed that you see this whole matter as a scenario of inescapable doom. I hope you derive some emotional satisfaction from that stance but as a practical matter I cannot join you. What "whole matter" is he talking about? The storage of about 1600 tons of the most lethal substance known to mankind, called Irradiated Nuclear Reactor Cores. The only poisons missing from "used fuel" (the current industry name) is the tiny percentages which have already escaped the plant somehow, such as the day the steam generators leaked in January, 2012, or from periodic "batch" releases the plant has been doing since it opened. Everything else is bundled up in those zirconium fuel rods. And zirconium is highly flammable. The fuel rods are extremely hot, both thermally and radioactively. Built up inside them are substances so deadly, that invisible quantities are fatal. To stand next to an unshielded spent fuel pellet (about the size of a pinky bone) -- just one of them -- for just a fraction of a second is fatal. Contrast that with unused nuclear fuel, which can be handled unshielded with gloves (to protect against alpha radiation of the hands). San Onofre still holds all the "used fuel" it ever produced, minus one experimental fuel load in Unit 1, which was removed from the site many years ago. Unit 1 closed more than 20 years ago, due to steam generator leakage problems, and Units 2 and 3 are also now closed. Owning those irradiated reactor cores is, by far, SCE's biggest liability as a corporation -- even though nuclear accidents are insured by the government (for fractions of a penny on the dollar). In the event of an accidental release of the poisons at San Onofre, the victims would pay financially as well as with their lives and/or their health. Thus, this "whole matter" Glenn Pascall refers to is, in fact, enough to destroy all of southern California, and far beyond. There is enough used fuel to kill and maim millions of Americans, if it were to get out of its containers and be spread around the country. One pound of plutonium is enough to kill every man, woman and child on the planet, if evenly distributed to all. Of the approximately 1,600 tons of used fuel at San Onofre, approximately 16 tons is plutonium. Sixteen tons! The Nagasaki bomb, a plutonium device, had about 10 pounds of plutonium. When in ceramic form and mixed with about 95% uranium-238, and 3% or 4% U-235, and other non-fissile elements, the plutonium in used fuel can't blow up like a nuclear bomb. But, by a number of methods, the plutonium in used fuel can be dispersed as fine particles, which will make much of soCal uninhabitable for tens of thousands of years (plutonium's half-life is about 24,100 years). Used fuel is especially dangerous (and difficult to deal with) because it gives off gamma rays and neutrons. The used fuel pellets must be kept behind at least half an inch of steel, plus three feet of concrete, for it to be safe for humans to go near them to check the vent-holes around the dry casks for dead animals and excessive radiation leakage from the "sealed" canisters. The only good news about used fuel at San Onofre is that they are no longer making more of it -- the pile is not growing. Because of that, the radiation levels are constantly and steadily dropping day by day, moment by moment. Unfortunately, after the short-lived radioisotopes have decayed, there are still the longer-lived ones, such as cesium, strontium and plutonium. Glenn Pascal tells me I: "see this whole matter as a scenario of inescapable doom." Eventually, yes. An asteroid is bound to hit the planet some day and wipe millions of us out -- maybe even all of us. But by Glenn's logic, the sun will burn out some day anyway, so why bother obeying street lights? Glenn implies that my and others' efforts to increase the amount of protection from catastrophic events at San Onofre are irrational. Nothing could be further from the truth. And we're not even trying to protect against asteroids -- Yucca Mountain was supposed to do that (to some extent, anyway, and yes: The Yucca Mountain scientists considered that one of its advantages over above-ground storage). I've outlined a way for Diablo Canyon and Palo Verde (part owned by SCE) to escape from their worst risks and financial liabilities: They should stop making more nuclear waste. As for San Onofre, Southern California Edison is planning to make a fuel storage system that is much more dangerous than it needs to be. They are taking the cheap route, not building something that can be inspected, that is easily transportable if the time ever comes, that is robust in the meantime. Their reasoning for going cheap is based on unsubstantiated hopes of upcoming "interim" storage solutions. SCE has been operating for decades based on such unsubstantiated hopes for Yucca Mountain. Before that, dozens of other proposed solutions came and went, from abandoned salt mines to rocketing the waste out to space, the former ending when the mine caved in, the latter ending with either Challenger or Columbia, depending on how stubborn you were. SCE is even claiming it has public support for its plan, with the acquiescence of their hand-picked "CEP," and in particular Mr. Pascall's/Sierra Club's support for SCE's plan to store the waste at San Onofre in thin canisters, for decades, in a marine environment, with no air filtering to prevent corrosion, and with a flimsy outer cement overpack system which is inadequate protection against tsunamis, earthquakes, airplane strikes or terrorist forces. When the storage pad was announced we were told it would be made of reinforced concrete, and would move as a single unit in an earthquake. But the technical drawings only show a reinforced top pad and a reinforced bottom pad, the middle being subject to shearing forces from an earthquake, which could cause the top pad to shift in relation to the bottom pad, popping open all 75 casks at once! At the proposed used fuel "island," the canisters will be packed so close together that if any one cask fails for any reason (terrorist's bomb; airplane that dove into the fuel pad; large ship deposited on top of the pad by a tsunami; the pad itself sheared in two by an earthquake as described above) they might all fail. Nobody can get close to unshielded fuel. Water increases the ability for the fuel to "go critical" again (which is supposed to only happen inside the reactor but can still happen thousands of years later if the fuel gets put in the "right" configuration). Water won't put out a zirconium fire -- not that the firemen could get close enough to put a hose on it. There are many things SCE could do to increase safety (starting with using reinforced concrete throughout the pad, and making the space between each cask much, much bigger). But there's a catch: No improvement will make the fuel "safe," and all reasonable improvements will cost hundreds of millions, or perhaps billions of dollars to implement. SCE wants fuel storage to be CHEAP, and the entire nuclear industry (and Glenn Pascall of the Sierra Club) is all for that. Profits before safety, even while talking about the most dangerous stuff on earth. Glenn Pascall is a tool of the nuclear industry. There are lots of those, but his defamatory remarks, as the only "people's representative" on the CEP, and as liaison to the CEP from the Sierra Club, are intolerable. Glenn Pascall should resign immediately as spokesperson for the Sierra Club on San Onofre issues, and as "people's representative" of the mis-named Community Engagement Panel. Below: Recent (past 48 hours) correspondence between Glenn, myself, and several others on the 'cc' list (including SCE executives and several Sierra Club members) is shown below. "Governments and nuclear enthusiasts have assured the public that final waste repositories are nigh. But they have been saying this since the start of nuclear power in the 1950s, with little to show for it. There may, in fact, be no such method." This line is also relevant, as is much of the article: " Finding a long term safe home for nuclear waste is the most expensive headache. There are no operating repositories in the world..."
Prior to my sending a statement regarding the ISFSI, George and I went through a similar intensive review process with regard to Edison's application to the California Coastal Commission. We concluded that support for the permit was appropriate and we worked closely together on wording our statement. I will not repeat the reasoning behind our position, which is clearly spelled out in the statement itself. 1) That fuel pool storage can continue indefinitely, with no time pressure to remove the spent fuel to dry storage. 2) That dry storage is preferable, but stored casks can remain on site at San Onofre indefinitely. 3) That fuel waste should be moved from pools as expeditiously as possible and placed in dry storage, and further, that options for transporting the canisters from San Onofre should be encouraged and developed so spent fuel waste is ultimately removed to a safer site. We have taken the third position because we believe it to be the most environmental responsible. With regard to your claim that the Sierra Club endorses storage of "the experimental unproven Holtec UMAX system" our statement makes no mention of that or any other specific system. Indeed, your phrasing verges on misrepresentation. Logically, the spent fuel must be stored in cansiters of some design. Edison has chosen a specific system over strong objections from yourself and others. Edison, with federal agency approvals, has authority to make that selection. The Community Engagement Panel, as a discussion forum, has no authority to modify or reverse that decision. In the context of the Coastal Commission permit, we have addressed only the issue at hand rather than issues that lie beyond the scope of the permit. We have, however, noted the importance of using transportable casks and maintaining the capacity to move them. Deciding, as you have done, to oppose the request to permit an ISFSI because you oppose a specific cask design leaves you in a strange place with regard to removing spent fuel from pools. By default you are endorsing the most environmentally dangerous position. Frankly, if you wish to continue the battle on cask design, you need to find a way of doing it that involves less collateral damage. I see the Angeles Chapter of the Sierra Club is supporting Edison's application to install the experimental unproven Holtec UMAX system (Glenn's statement attached). Please consider my comments below regarding critical concerns with this system and hopefully, reevaluate your position. I am not aware that any of the local environmentalist nor local members of the Angeles Chapter of the Sierra Club that have been active on the San Onofre issues, including myself, had seen Glenn's email prior to the submittal to the Coastal Commission. Does Glenn's document represent the national Sierra Club position to the California Coastal Commission? What evaluation was done on the proposed system by the Sierra Club before endorsing this system? To California Coastal Commissioners and staff. An additional comment is regarding the very short warranty for the Holtec system. Even though Holtec and SCE claim the system will last 60 to 100 years, the Holtec warranty is for only 10 years for the underground structure and only 25 years for the thin 5/8" thick steel welded canisters (MPC-37). Also, Edison is considering having Holtec load the existing Areva thin canisters into the Holtec system. The Holtec warranty is only two years for these canisters. The below linked Holtec warranty was provided to me by Edison as part of the CPUC Unit 2 and 3 Decommissioning proceedings. >I recommend the Coastal Commission deny the application for this experimental unproven Holtec spent fuel dry storage system (Application 9-15-0228). This is a very important issue to rush through the approval process with so little time for the public to review the staff's recommendations and related material. However, even with the short review time, I have a number of reasons the proposed system by Southern California Edison (SCE) must be rejected. >The proposed Holtec UMAX underground dry storage system is an experimental unproven system. It cannot be inspected, repaired, maintained, or monitored and does not meet current Coastal Act requirements. The staff's "Approval with conditions" contains conditions that are unlikely to be met. The serious staff concerns that required these conditions demonstrates the inadequacy of this SCE proposed system. It is likely this system will be at our coast for decades, if not longer, as staff has indicated. There is adequate evidence to show that this experimental Holtec system will likely not meet Coastal Commission short term or long term storage and transport requirements. To assume the system can or will be relocated, as the staff suggests, is not a reasonable assumption, based on known evidence. These high capacity (37 fuel assembly) canisters with high burnup fuel may need to cool in dry storage for over 45 years before they are cool enough to transport. (See slide 10 of this Department of Energy presentation. http://www.nwtrb.gov/meetings/2013/april/boyle.pdf ). The NRC has not approved this system in the configuration proposed by SCE and Holtec. >Additional comments and references below. >The report states SCE expects the service life of the ISFSI and casks to be at least 100 years and no major repairs are anticipated within 60 or 100 years. This is an unsubstantiated claim. (Staff Report page 37). Please have SCE provide technical references for those statements. Are these Holtec technical documents submitted to the NRC? The NRC is only certifying the system for 20 years and is not considering degradation or other aging management issues that might occur after 20 years. The NRC doesn't consider claims by Holtec about those 60 and 100 years as anything the NRC has validated or approved (according to their Sept 2015 UMAX amendment 1 certification approval document). The staff report references email document "SCE 2015b." Please forward a copy of this document. >The statement "NRC has estimated that at least 30 years would be required for the initiation of stress corrosion cracking in steel fuel storage casks" is no longer valid. (Staff Report Page 37). That statement is in the NRC 8/5/2015 meeting minutes on Stress Corrosion Cracking and Aging Management. The reason NRC said 30 years was because they assumed the canisters would not be cool enough for moisture to deliquesce (dissolve) salt on the canister for at least 30 years. However, at that time they were not aware of the two-year old Diablo Canyon canister that had temperatures low enough for salts to deliquesce. I participated in that and other NRC meetings on stress corrosion cracking in marine environments. >Existing Areva NUHOMS canisters have been loaded since 2003, so the idea that Edison needs to have an aging management plan in 20 years is not the case. They need an aging management plan for their existing NUHOMS canisters and system. Does the existing NUHOMS canister ISFSI require a separate Coastal Commission renewal permit? Both the existing NUHOMS and proposed Holtec thin canisters are of the same materials (welded 316L stainless steel). We have only 5 years before we meet the Koeberg timeline. This idea we can wait 20 years is not realistic on many levels. To buy products originally designed for 20 years that do not have aging management built into the design is unacceptable. Edison should be required to provide their aging management plan now, so it can be fully evaluated by the Coastal Commission. What we already know is not adequate. This is too important an issue to base approvals on Edison promises of future solutions. The UMAX system is an experimental unproven system. Over 99 percent of dry storage system in the U.S. and the world are above ground systems. To claim this is typical or a proven U.S. systems is an inaccurate claim. On Staff Report page 11, the footnote states "A small HI-STORM UMAX system...is installed at Humboldt Bay Power Plant". This is not a UMAX system and has a very different design. The Humboldt Holtec HI-STAR HB system uses 1/2" thick canisters, but inserted them in thick steel bolted lid cask before placing them in the underground holes. Also, the fuel cooled for 35 years in the pools and was low burnup fuel, so no air vents were needed to cool the thin canister and fuel. In spite of this, water leaked into this system, which Holtec said would not happen. Their solution was to put caulking around the enclosure. >The Holtec UMAX system has not been approved by the NRC for the configuration planned for San Onofre and it has not been approved for the site. The NRC will need a license amendment for the changes in order to properly evaluate for seismic, thermal and other technical requirements. The system is approved for 1/2" thick canisters, not 5/8" as proposed. The system is approved for a totally underground system, not the half underground system proposed. The NRC comments in their September 2015 UMAX approval make this clear. I explained this and other items in the letter I sent to staff on September 17, 2015. It appears some of the public comments I have made have not been addressed. Or has Edison or Holtec or the NRC provided you different information? >Aging management of the Holtec system is inadequate. Even the Holtec President, Dr. Singh, says the canisters cannot be repaired. They cannot even find cracks, let alone repair them. >Relying on vendor promises of future solutions to be able to inspect and maintain the system should not be relied upon in Coastal Commission decision making. The Coastal Commission should not make decisions based on "vaporware". State agencies are not allowed to procure "vaporware" (capabilities that do not exist), so why would the Coastal Commission make such an important decision assuming these most critical issue will be resolved by vendors? The Coastal Commission should demand Edison use a proven system that can be inspected, maintained, have continuous monitoring, is transportable and doesn't crack. This is the only way to meet Coastal Commission requirements. The NRC is only concerned with 20 years. The Coastal Commission is concerned with longer term requirements. Technology exists to meet both NRC and Coastal Commission requirements. 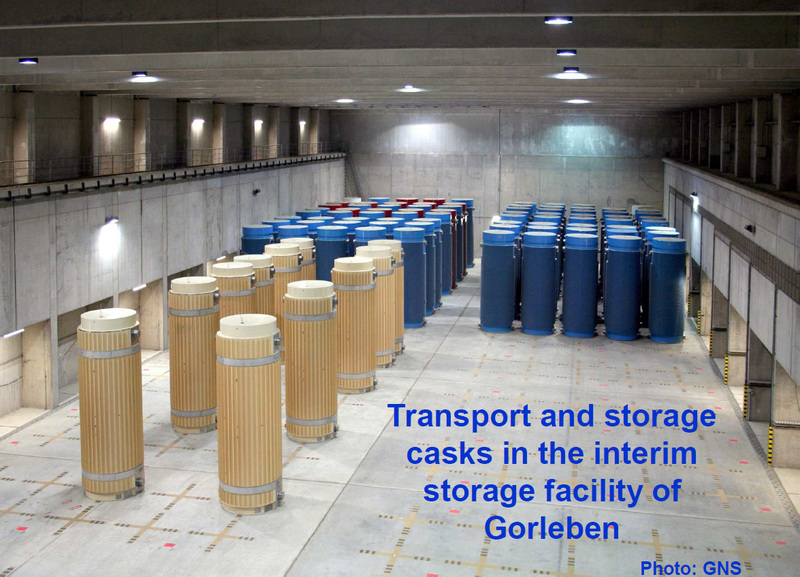 Rejecting the option of the thick casks, such as the German thick Castor casks (manufactured by Siemplekamp, designed by GNS), with the response "these thick-walled casks are not generally licensed for use at U.S. sites by the NRC" is not sufficient to reject thick casks. (Staff Report page 20). There is also the option of thick metal casks such as the Areva TN-24 and TN-32 casks currently used in the U.S. Southern California Edison knows both the German and Areva thick metal casks have been licenses by the NRC, so there is every reason to believe they would receive a license for San Onofre. Given that these options are proven technologies used in the U.S. and are the main storage technologies used for the majority of the rest of the world for both storage and transportation, thick casks should not be a rejected alternative. This would better meet Coastal Commission requirements for longevity and transport and also meet NRC requirements. Thick casks are approximately 10 to 20 inches thick compared to the proposed thin canisters that are only 5/8th of an inch thick. >There is already evidence for the staff to have sufficient probability that requirements to have canisters transportable and maintainable may not be met with the Holtec UMAX system. Pushing the can down the road another 20 years isn't going to change that. The only reason no thin canisters have leaked yet is because they have not been in use long enough for cracks to go through the wall of the canister. We are at higher risk of cracks due to our corrosive coastal environment. We are the last location that should be using this inferior technology with materials known to crack from corrosive moist salt air. The NRC does not allow transport of cracking canisters. The underground portion of this system is subject to corrosive ground chemicals and yet cannot be inspected due to lack of technology to inspect this design. >Regarding Edison's promise of potentially moving the system to higher ground as the coastal environment degrades that would require a major expense and would likely cost over double the existing San Onofre Decommission Plan cost estimates. The cost estimates they submitted to the NRC and CPUC assumes fuel will be picked up at the earliest DOE time frame, even though their documents state these dates are unlikely to be met. They also assume nothing will go wrong with the canisters. They have budgeted about $1.3 billion for spent fuel management and plan to spend it all. They also plan to spend the entire $4+ billion Decommission Trust Fund, so no monies will be available. What is the basis for accepting Edison's promise? Will ratepayers be required to pay for this? Is their promise and this plan reasonable? Choosing thick casks meet Coastal Commission requirements for both relocation on-site and transport. Thick casks are transportable. No additional transportation casks are needed. No protective concrete structures would need to be destroyed and rebuilt. No transfer casks are needed. Systems are installed above ground. Thick cask have seals that can be monitored and replaced. Once a thin canister cracks, it is no longer usable and cannot be repaired. As the staff report clearly indicates there are many uncertainties regarding when or if the Department of Energy will pick up the fuel and many uncertainties about environmental conditions in our future. Therefore, we need to plan now for the best option, not wait for 20 years and hope something magical will change and assume the Holtec system can be relocated or transported. Please protect our coastal resources and do not allow this experimental Holtec UMAX system in our coastal communities. It does not meet current Coastal Act requirements. It is folly to approve a system based on vendor and utility promises of future solutions when we have the facts we need to make better decisions now. Yes. we need an NRC approved system, but one that also meets Coastal Act requirements. Those to items are not mutually exclusive and are obtainable. Edison's unreasonably short artificial timeline should not be a driving factor for this decision that has long term implications for our Coastal resources. >>I got your message this morning. You should have received a notice regarding the upcoming hearing on the ISFSI permit and the availability of the staff report – Iâ™m sorry if this wasnâ™t the case. The report came out last Friday. Iâ™ve attached it here (the file is fairly large, let me know if you have problems and I can split off the exhibits and resend as two files). I totally disagree with Pascall !! Every time a fuel assembly is lifted, an increased risk is entailed. Every time a dry cask is moved, an increased risk is entailed. Every time nuclear fuel is transferred from one container to another, an increased risk is entailed. There is no guarantee that spent fuel in dry casks would go to an interim site first (before fuel that is in spent fuel pools, especially at operating reactors with full pools). It would make more sense (because it would save steps) to move spent fuel from the pools directly into transport canisters, and then to the interim site -- especially if it's been 20 or 40 years or more, and the integrity of the spent fuel assemblies in the dry casks is suspect (as it will be). There are now more than 2,000 dry casks around the USA. Moving all of them before emptying the pools of operating reactors with dangerously full pools seems foolhardy as government policy ("dangerous" by anyone's standards, that is. By my standards, the spent fuel pools were too dangerous as soon as the first spent fuel assembly was placed in them. Dry casks are also too dangerous to exist on earth.). Fuel in the pools can be much more closely inspected prior to shipment, since the casks will not be opened if they are combined transport/storage canisters. If the canisters cannot be used for transport, then the fuel will need to be transferred before moving, which will probably require immersing the fuel back in water, and repeating the drying process all over again, increasing the risk as well as the worker exposure. And doing so won't help the operating reactors empty their overcrowded pools. All this complicates the choice of "best (least risky) scenario" and leaves us with more than three "logical" choices based on simplistic assumptions. The best choice depends almost entirely on whether or not an interim storage site is going to be established some time in the next few decades -- an iffy proposition at best. And whether the dry casks and/or spent fuel pools can withstand whatever happens in the meantime. The CCC seems to assume that if there is going to be a problem, it simply won't happen in the next 20 years. Then if nothing's gone wrong, they'll probably assume another 20 years will also be safe. A classic case of passing the hot potato down the line. Do you really think the Holtec ISFSI protects against tsunamis, airplane strikes, earthquakes and terrorists? The "pad" isn't reinforced concrete throughout (only a few feet on the top and the bottom are reinforced). We were told it would "move as one unit" in an earthquake but that is hardly likely. It is more likely to split apart, along with the thin 1/2-inch stainless steel dry casks within it. That would spell doomsday for soCal. What are your assumptions -- your own personal guesstimate -- of the likelihood the fuel will actually be moved? Do you think it has, say, a 10% chance of happening in 20 years, but a 90% chance of happening within 60 years? What do you base your optimism that the waste will ever be moved on? As far as I know the Sierra Club has never endorsed a specific location to store nuclear waste and I'm sure most members would oppose whatever location you wish to support -- except, of course, activists near current waste sites and the nuclear industry. Strange bedfellows indeed. For reference, I think the waste has virtually a zero percent chance of moving anywhere, any time in the next century (or, frankly, ever, unless the nuclear industry is stopped entirely, so that the problem is finite instead of constantly growing). Of course, I've been studying the lack of progress on Yucca Mountain for several decades, so I've seen how long the nuclear industry can stretch these things out for. 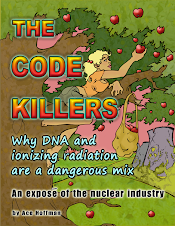 The nuclear industry was built on false hopes and ignoring real risks. This is their same game. Lastly, if spent fuel pools are so dangerous, why doesn't your statement include a condemnation of Diablo Canyon's and Palo Verde's spent fuel pools, let alone their operating reactors, which are about a thousand times more risky than San Onofre's spent fuel pool or our dry casks? Fresh fuel recently removed from a reactor is a huge problem in case of a station black out. It's a fire hose, turned on occasionally, for San Onofre. 3 at the San Onofre Nuclear Power Station in San Diego County. vulnerable San Onofre site at the earliest available opportunity. severe for nuclear waste stored in fuel pools rather than in dry casks. essential part of this transition. the opportunity arises to remove them from San Onofre. a condition that enable spent fuel removal by rail or truck. are subject to multiple risk factors. ISFSI and transport them to remote storage. extended use of wet storage when dry storage options are available onsite. fully submerged and protected in pools. storage as soon as best practices allow. Thank you for consideration of our thoughts.